Visiting Gettysburg National Park in Pennsylvania and standing on the battlefields gives one the feeling of being on sacred ground. In 1863, 50,000 soldiers lost their lives in the Battle of Gettysburg, where eventually President Abraham Lincoln would give the Gettysburg Address. 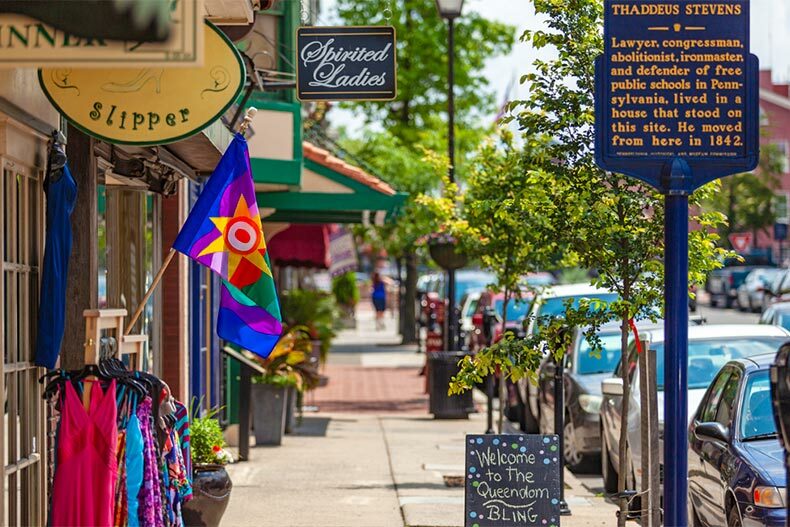 The entire area has artifacts and landmarks from the Civil War era, and the downtown area has lovely inns, homes, restaurants, and shops that can round out a fascinating trip. The Battle of Gettysburg was our country’s bloodiest war, and the entire town was shattered by the battle. General Lee’s retreat afterwards was the turning point of the entire war. A year later, local citizens created the Gettysburg Battlefield Memorial Association, which preserved sections of the battlefield before the property was designated a National Military Park. The Museum and Visitor Center is the perfect starting point for your visit. Here you can get maps, audio tours, and a good overall feel for the place. The museum has 11 different galleries, which have battle relics and displays, plus theaters, videos, and interactive exhibits. Learning about how the Civil War started and why Gettysburg was so crucial gives visitors a better perspective about the Park. President Dwight D. Eisenhower's home where he hosted several historic figures. President Dwight D. Eisenhower purchased this homestead and farm next to the battlefield in 1950 and moved here in 1961. The building is 4,100 square feet with 24 rooms and is almost completely furnished with the Eisenhower’s original pieces. 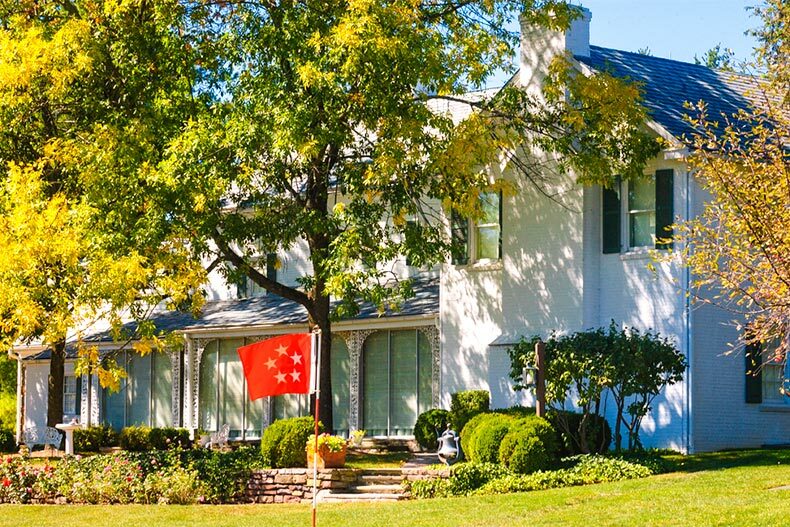 Here, the family entertained guests including Winston Churchill, Ronald Reagan, and Nikita Khrushchev. It offers a lovely view of South Mountain, which is part of the Blue Ridge Mountains. 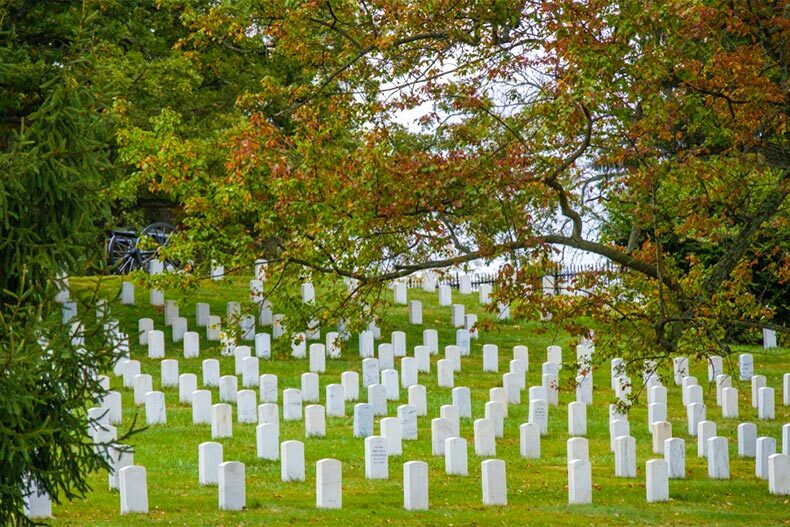 The National Cemetery is home to veterans of many American wars. Soldiers' National Cemetery is a hauntingly beautiful site on Cemetery Hill, the center of the battlefield. This is where Gettysburg Governor Andrew Curtin organized the reburial of around 3,600 Union soldiers. It was dedicated that following November where President Lincoln delivered the historic Gettysburg Address to a crowd of more than 10,000. In 1869, the Soldiers' Monument was built, and the cemetery was later expanded to include soldiers who were killed in action during the Vietnam War. A Gettysburg lawyer, David Wills helped care for wounded soldiers and was instrumental in establishing the Soldiers’ Cemetery. The David Wills House is where Lincoln prepared his speech the night before its delivery. The house shows how Wills and local residents helped soldiers and their families. His office and bedroom have been lovingly restored for visitors to see. The Jennie Wade House is another historic home owned by a local family during the war. Its namesake, Jennie, was only 20 years old when she was killed by a stray bullet in her home. 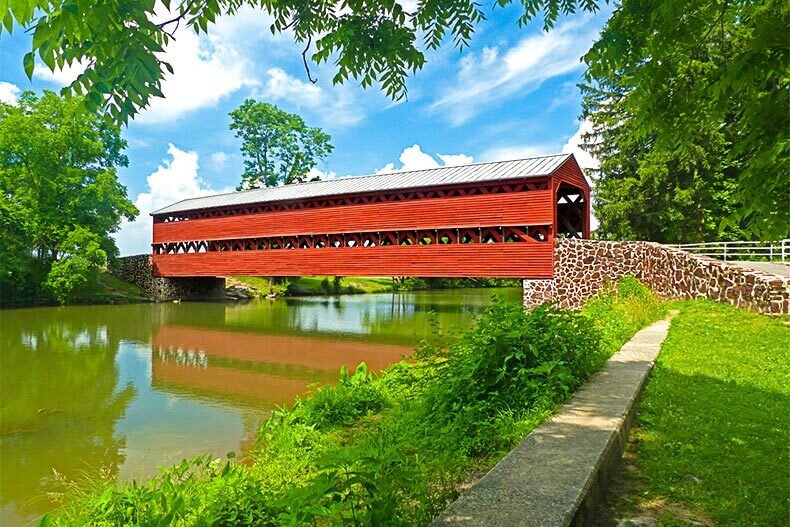 Pennsylvania is known for its covered bridges, with Sachs being one of the most famous. Built in 1852, Sachs Bridge is one of the most historic in Pennsylvania. It was important during the war as it was crossed by Union Army troops as they moved into Gettysburg. Four days afterwards, General Lee’s army retreated back over it towards Virginia. There are some who believe that it is haunted by ghosts, but that is up to you to decide. It is in the National Register of Historic Places, has a distinctive red color, and is open to foot traffic only. 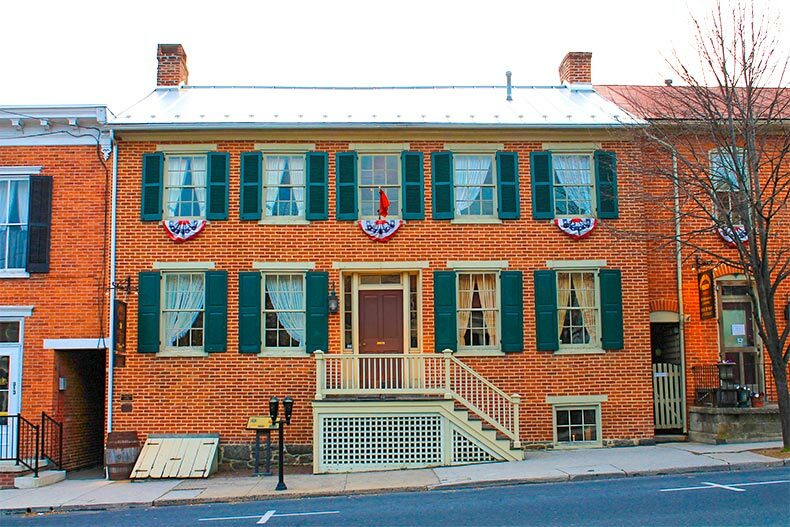 The Shriver House Museum is a living history museum that is a carefully restored home from 1860 that shows how families lived during the battle. Visitors can participate in tours led by guides dressed in period attire. The home includes a sharpshooters “nest” where Confederate soldiers fired at Union troops. This home also functioned as a small hospital for the wounded. It was owned by George Washington Shriver, a local businessman. He lived there with his wife Hettie and daughters Sadie and Mollie. The family opened up Shriver's Saloon & Ten-Pin Alley on the property before George volunteered for the war. 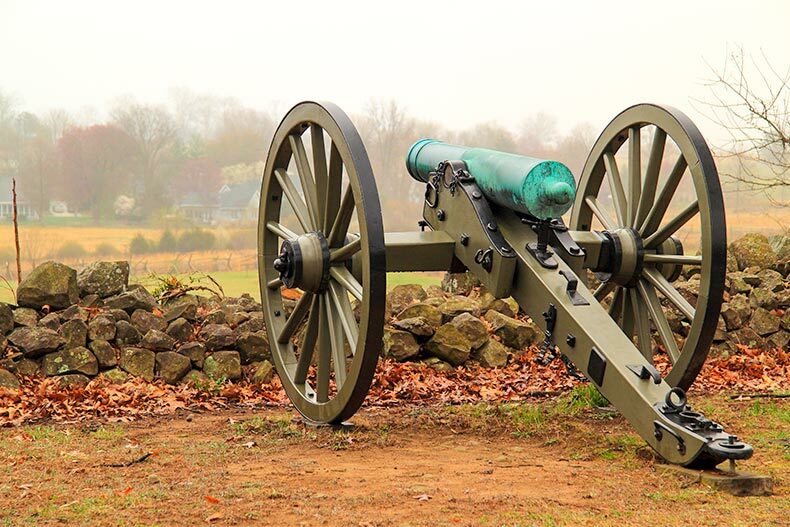 The best way to learn about the Civil War is to visit the battlefield. The battlefield has around 1,400 different statues and monuments that pay tribute to both Confederate and Union soldiers. Most of them are placed where the units actually fought. Some of the best known include Oak Ridge and the Eternal Light Peace Memorial, which were erected where the first battle occurred. The biggest monument, Pennsylvania Memorial, was built on Cemetery Ridge. This lists all of the PA soldiers who fought in the battle. One of the others is Seminary Ridge, built at what was a Confederate position. This site features the North Carolina Memorial, the Virginia State Memorial, and a bronze statue of General Robert E. Lee. The pristine grounds are also perfect for biking and tours are offered through companies like Getty’s Bike. Audio tours can be arranged through the visitor’s center, and these can be listened to in your car. 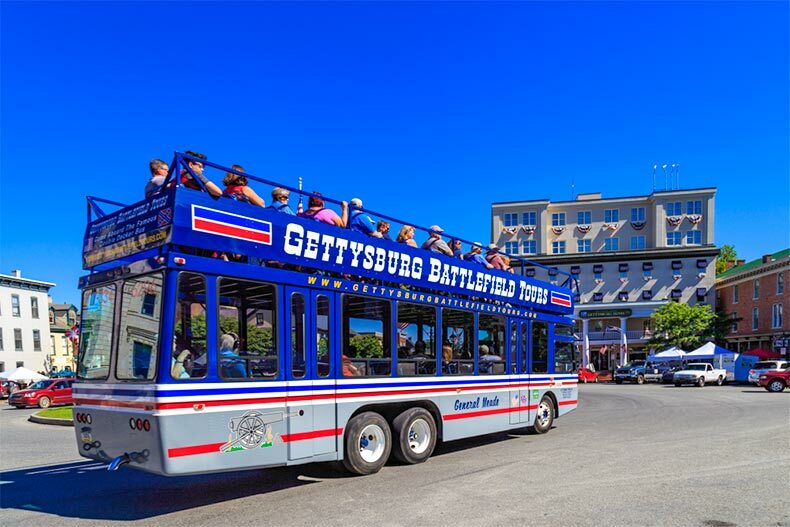 For a bus tour, try Gettysburg Battlefield Bus Tours. 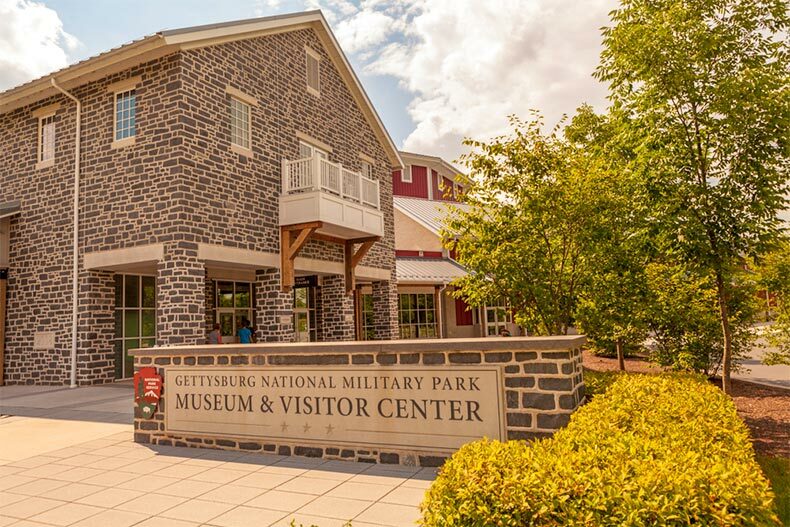 Gettysburg is open year round, although some areas can be closed depending on weather conditions. Winter hours are 6 a.m. to 7 p.m., while summer are 6 a.m. to 10 p.m. Admission to the park is free and some of the attractions and tours are available for nominal fees. Gettysburg is in Adams County, pretty close to the center of the state. It’s a scenic drive through bucolic country sides and gently rolling hills. For those that want to fly into Gettysburg, the closest airport is Harrisburg International, which is 36 miles away. Amtrak’s closest station is in Baltimore. 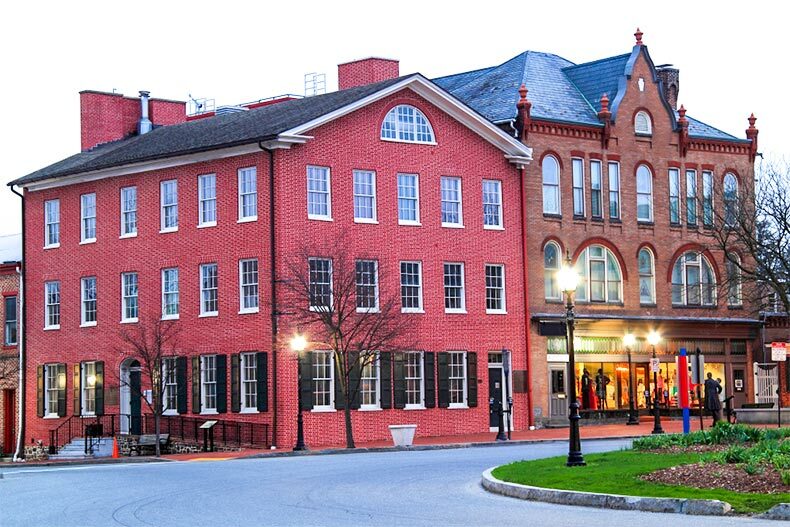 Once in town, there are many lodging options, including motels, campgrounds, and charming, historic inns. 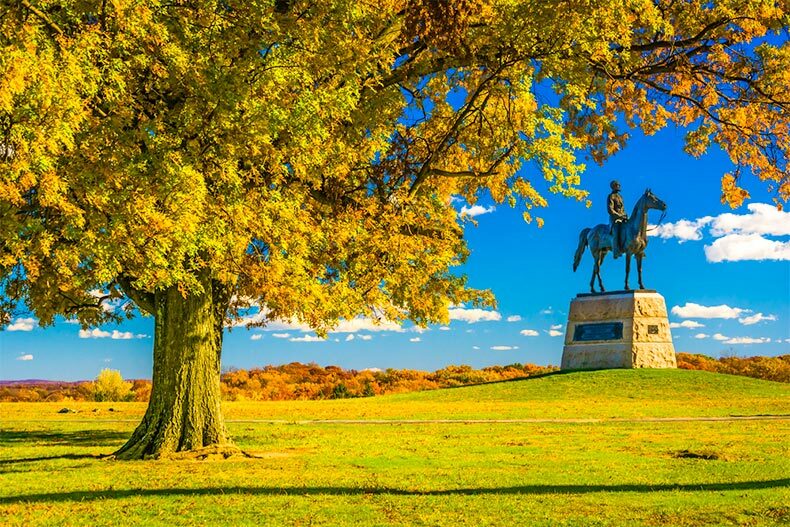 Once you’re settled in, you can explore all of the rich culture and history that Gettysburg has to offer.